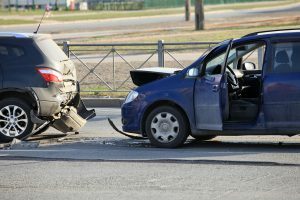 Scene-of-the-Accident Tips for Minor to Moderate Personal Injuries | Craven, Hoover, & Blazek P.C. If you or a loved one was recently hurt in a personal injury accident, it is vital to take the right steps directly after the incident to ensure and secure your rights down the line. For very serious accidents and injuries (brain injuries, concussions, spinal cord injuries, etc. ), the most important step you can take is to receive immediate medical care. Once you are stable, the process can continue. 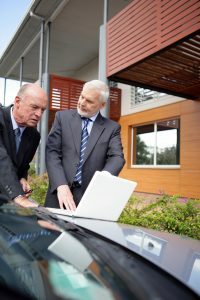 Continue reading to learn what to do after being involved in a person injury accident, and how to get started recovering your expenses. Be sure to always have a camera on you at all times. A disposable camera should always be kept in the glove compartment of your vehicle, and many people these days have cameras on their wireless phones. Capturing the injury on camera right after it occurs is a crucial step toward defending yourself in a personal injury case. Whether it’s a motor vehicle accident or a slip, trip, and fall, take as many pictures as you can of the environment, accident location, the injured area of the body (if applicable), and anything else that may have contributed to the incident. If you are unable to take pictures, ask the person with you to take them, or if alone, a friendly bystander. You will also want to ask about any surveillance cameras and videos so you can request a copy of your incident if it was recorded. The next step is to gather as much information from witnesses and persons involved. Get the names, addresses, emails, and phone numbers of all the people that saw the accident occur, and of the people who were involved. This can include a store manager, bystanders, customers, passengers in a car, and any other witnesses. Having proof of your story through the statements of witnesses will strengthen a case. You will need even more information from every person involved in the accident. Be sure to collect standard contact information, as well as drivers’ license numbers and insurance information. When all pertinent information is collected, it is time to contact the police. Communicate all the necessary information and timeline of the accident. Be sure to tell them of any pain or discomfort you are experiencing. They will assist you with getting medical attention. The final step to take after being wrongly injured is to contact a licensed accident attorney to file a personal injury claim in your city or county. A personal injury lawyer can recover the full and fair compensation you deserve after experiencing a traumatic injury or accident as a result of another person’s negligence. Call The Law Office of Craven, Hoover, and Blazek P.C. at 317-881-2700 to file a personal injury claim in Indianapolis. Licensed accident attorneys, Daniel Craven, Ralph Hoover, and Keith Blazek are eager to win your case and obtain a full and fair settlement for your losses. We offer free initial consultations and never collect lawyer fees unless we win compensation for you. Call 317-881-2700 to schedule your complimentary consultation with a seasoned personal injury attorney in Indianapolis, IN today. This entry was posted in Auto Accident Injury, Slip and Fall and tagged Accident Attorneys, car accident lawyer, file a personal injury claim in Indianapolis, personal injury attorney Indianapolis, personal injury claims, personal injury tips, slip and fall lawyer. Bookmark the permalink.